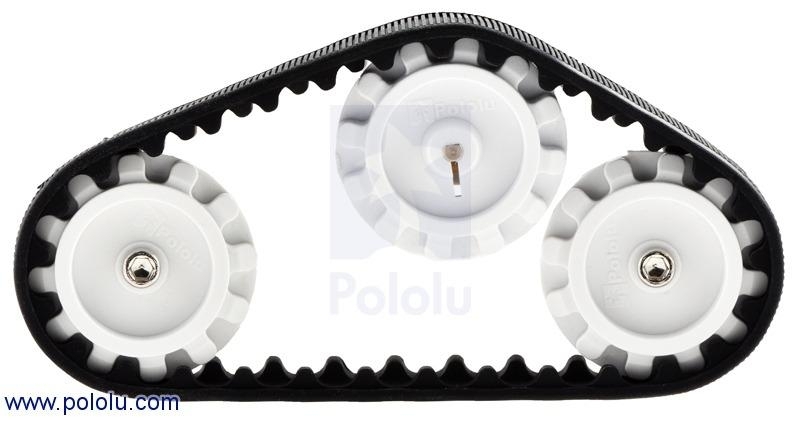 these freely rotating idler sprockets match those included with our 22T and 30T track sets. 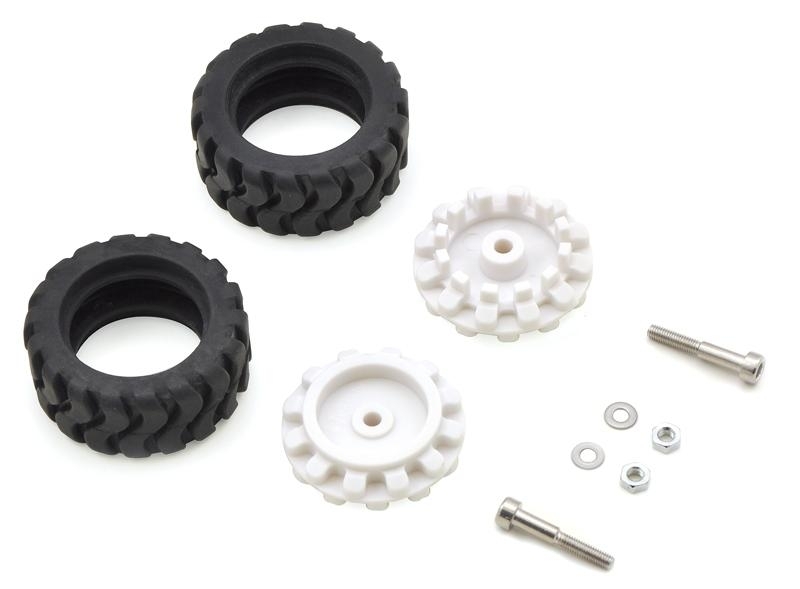 The white plastic hubs can be used with the 30T track set as additional idler sprockets, or they can be used with the included rubber tires as idler wheels that have the same overall dimensions as our 42×19mm wheels. This product includes two idler sprockets/hubs, two rubber tires, and mounting hardware consisting of two shoulder bolts, two nuts, and two washers.